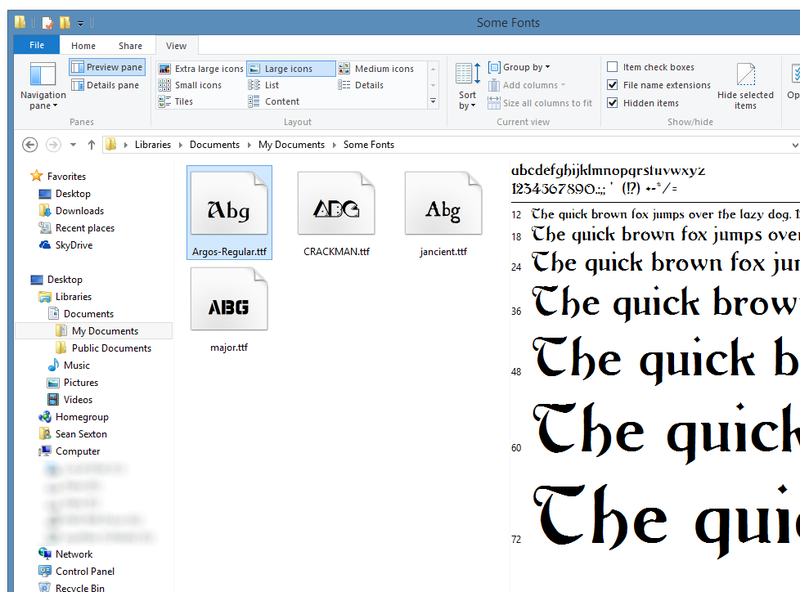 You can view all installed fonts in Windows, using the Fonts applet. 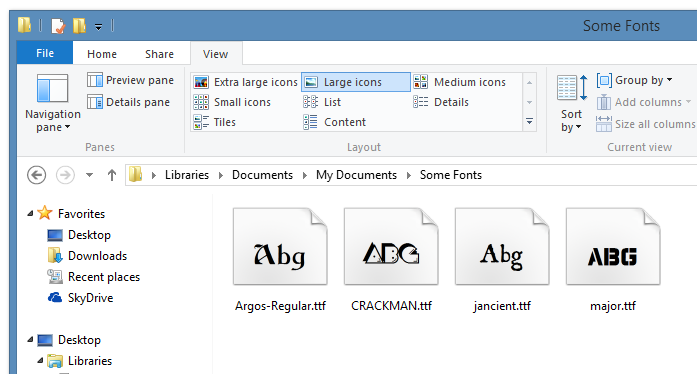 You can also view font properties and preview arbitrary fonts using Windows Explorer. 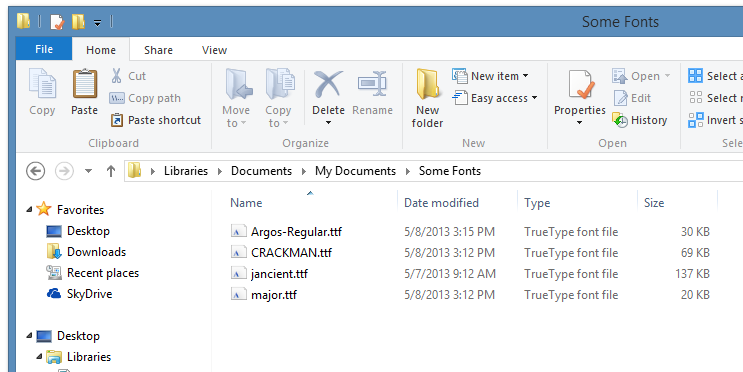 For example, assume that you have a directory containing some TrueType (.ttf) fonts, which are not current installed. You start by navigating to the folder containing the fonts. You can set the view in Windows Explorer to one of the icon-based views (e.g. Large icons) to see a thumbnail-based preview of each font. You can also turn on the Preview pane to see a preview of each font, as you select it. Finally, as with the Fonts applet, you can double-click a font to open a preview of the font in a separate window.